Gosh I have to be careful when I write about FCUK.....lol. 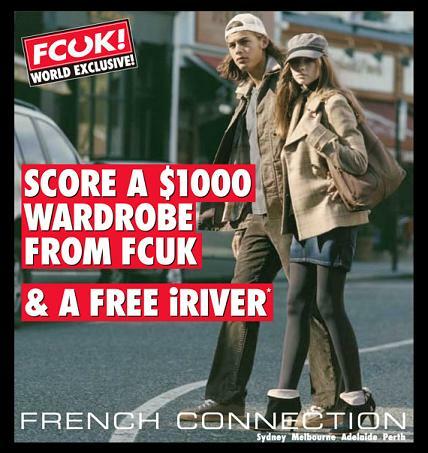 OK fashionistas here's a great chance to score yourself a $1000 wardrobe from fcuk and a free iRiver. It's a World Exclusive! Click here for your chance to WIN but hurry because this Competition closes at 5pm on Friday March 3rd 2006.